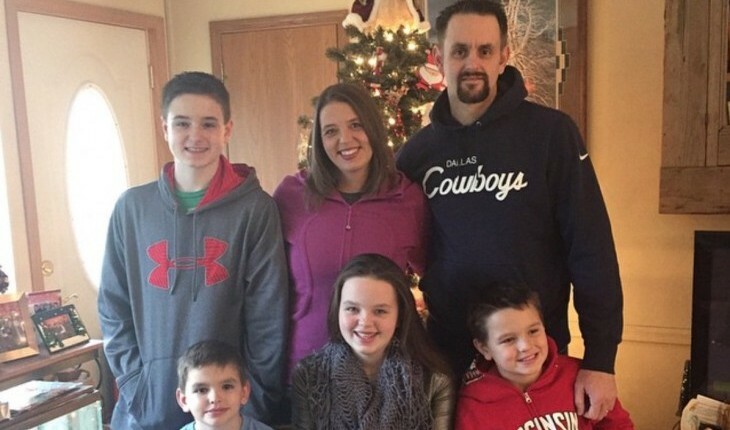 'The Biggest Loser' alum Lisa Rambo with her family. Photo courtesy of Instagram. Sometimes, being a loser really can make you a winner! Lisa Rambo learned that truth when she was chosen to compete on NBC’s reality show The Biggest Loser during season 14. Unless you have been hiding under a box of Twinkies, you probably know that the show chronicles the journey of overweight contestants who attempt to lose the most weight in hopes of getting healthy and winning a cash prize. Although Rambo was eliminated from the competition during week five, the show offered a $100,000 at-home prize and Rambo tried her hardest to win it. But, when she re-entered the real world, the 37-year-old mother of four returned to work full-time as a special education assistant, and felt the pressure of keeping up with the contestants still living at The Biggest Loser Ranch. Even so, she stuck to what she had learned at the ranch and 80 percent of the total weight she lost was after she left the show. In the end Rambo was runner-up for the at-home prize, losing to competitor Gina McDonald by only a few pounds. Still, she was able to manage the needs of her family while simultaneously taking care of herself. “There is no magic pill. It takes some hard work and dedication, but it’s worth every bit of it,” she says of her fight to get fit. In order to reach her weight loss goals, she worked out six days a week, usually an hour and a half before work and two hours after work. Be sure to tune in for next week’s premiere of season 15 of The Biggest Loser on Tuesday, October 15th on NBC at 8/7c! Rambo will be attending The Biggest Loser Walk/Run on October 20th in Eau Clair, Wisconsin, and she will be running in the New York City marathon this November. To see what else Rambo has cooking in her kitchen, you can read her blog, losingitwithlisa.com, or follow her on Twitter @LisaRambo.